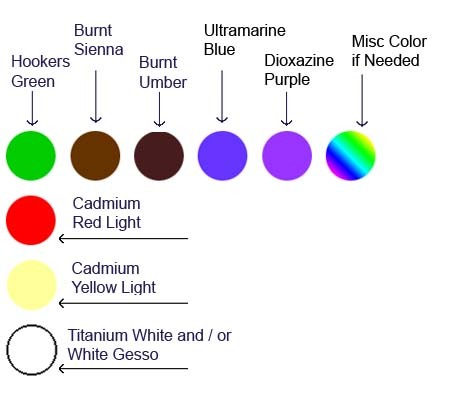 scenes taught in our videos. other high quality Artist grade acrylics. If you are on a tight budget the cheaper Student Acrylics will work. 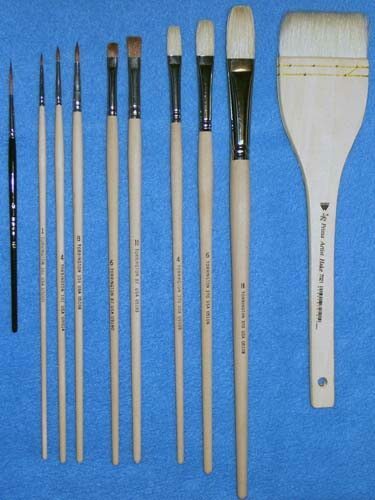 Below are the brushes most often used in the Inspiration of Painting videos. Other brushes may be used or substituted as needed.